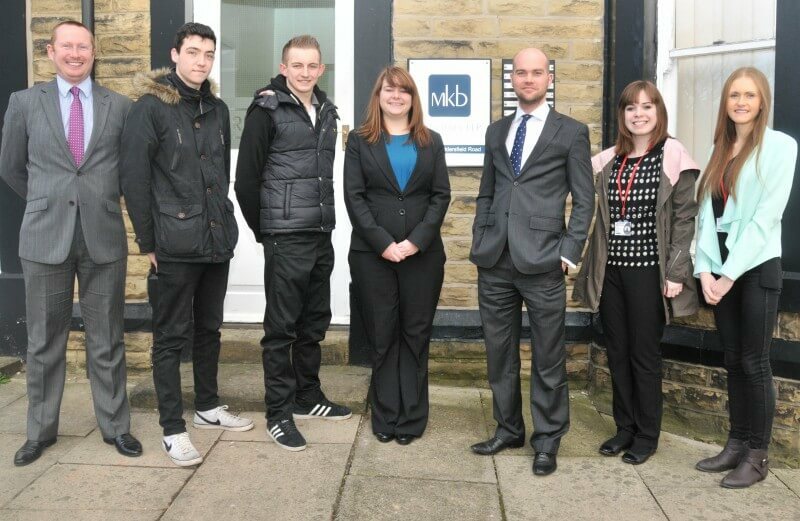 A Level students from Barnsley Sixth Form College are getting a taste of the legal life thanks to MKB Solicitors LLP on Huddersfield Road. The five Law students are taking part in a four-week work experience placement where they have the opportunity to shadow Solicitors, attend court and observe client meetings. Sam Kinghorn, Luke Thompson, Emma Peacock, Megan French and Ella Barker are working with five Solicitors from the Barnsley-based law firm.